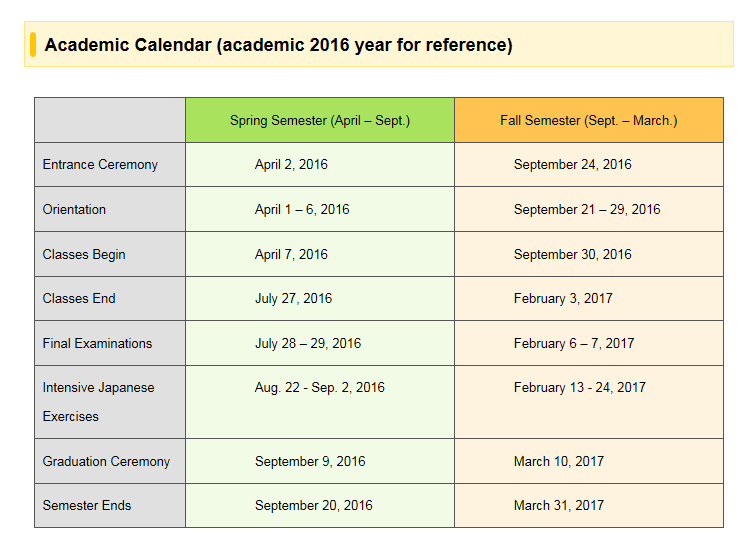 Kansai University Japanese Language and Culture Program (Bekka) is in principle a one year-program* it started in April, 2012. The purpose of this program is to provide instruction in the Japanese language, Japan studies and Japanese culture to international students who intend to proceed to the next stage of education as a student at Kansai University or at other Japanese universities after passing the entrance examination. Prospective students at the Center will be required to have Japanese-Language proficiency equivalent to Japanese-Language Proficiency Test (JLPT) N4 level** before entering this program. * The period of study is one year in principle, but can be extended for another year with permission from the Center for International Education. The Bekka will employ the semester system so that students can enter the program in either the spring (April- September) or the fall (September-March) Semester. **Language proficiency expected for those who have completed a primary level Japanese course, amounting to 300 hours of Japanese language learning. In contemporary Japanese society, Information and Communication Technology (ICT) is an essential part of daily and university life. ICT is the core of Bekka education and it offers extensive learning opportunities with e-learning inside and outside of the classrooms. Students will develop information literacy skills as well as Japanese language proficiency. 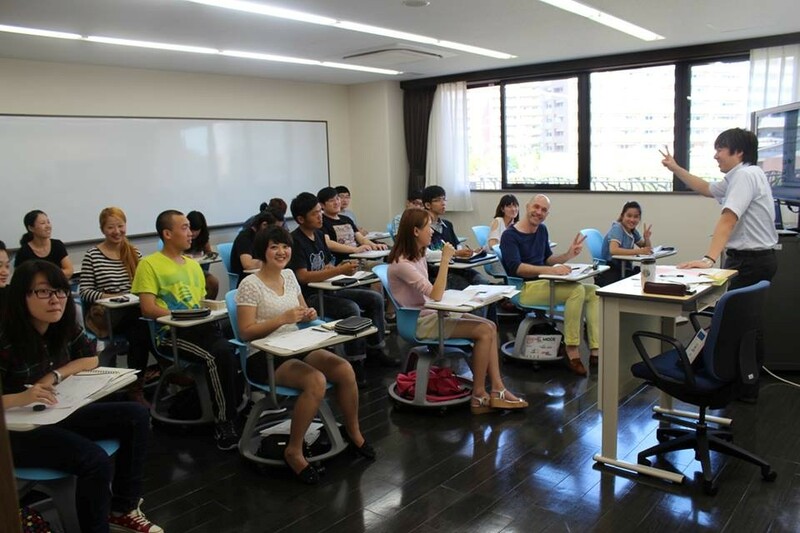 In this program, more than 20 highly skilled instructors will take charge of an assortment of 109 classes through the year, including Japanese Language subjects. These courses are designed to develop the four basic language skills (reading, writing, listening, and speaking) in accordance with the student’s linguistic ability (level of Japanese proficiency). 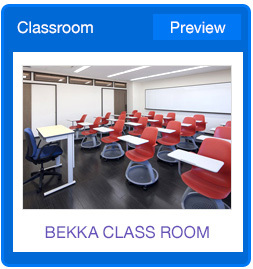 The program also provides some classes to prepare Bekka students for the Japanese-Language Proficiency Test (JLPT). For students who are enrolled in the First Group Japanese Language Class 5, or those who have a higher Japanese language proficiency level, the program provides special training in order to develop knowledge about technical terms and academic skills. Students will work on writing reports, and delivering oral presentations utilizing appropriate academic expressions. These courses are about technical terms and academic skills. Students will work on writing reports, and delivering oral presentations utilizing appropriate academic expressions. This class is designed to enhance academic ability such as English, mathematics, and science in order to excel at undergraduate or graduate school level. Students who enrolled in the Bekka program for a calendar year, and have earned 32 or more credits, will be recognized as having completed the program and will be awarded a certificate of completion. Of these credits, at least 24 must be earned from the First and Second Group, and at least 8 must be earned from the Third, Fourth and Fifth Groups. the Kansai University Japanese Language and Culture Program. Students who have an excellent academic record, and who are in need of financial support, will be recommended for the following scholarships. This scholarship grants JPY 180,000 per student per 6 months for a total of 10 students (5 students each semester). This scholarship will be offered by JASSO (Japan Association of Student Services Organization). Recipients will be granted JPY 48,000 per month for up to one year. 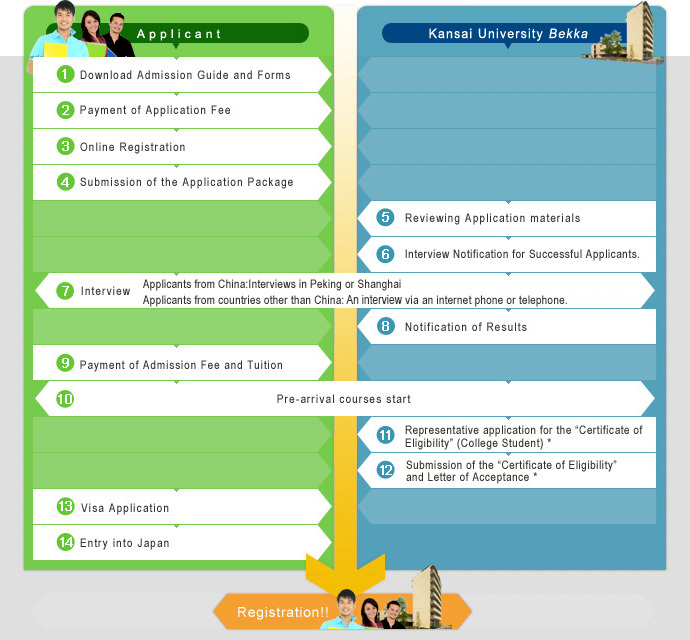 Financial aid which constitutes a 50% deduction in the admission fee is available to Bekka students who intend to proceed to Kansai University after completion of the program, and have successfully passed the entrance examination. 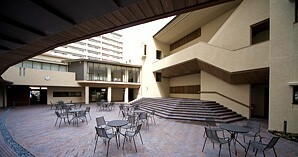 Minami-senri International Plaza, where the “Bekka” is located, is a modern educational facility and a dormitory for international students. Being approximately 15 minutes by bike from the main campus in Senriyama and 30 minutes away from downtown Osaka by train, the Center is very convenient, and nestled in a beautiful and quiet living environment. The classroom building at the Plaza is set up so ICT and e-learning is available both inside and outside of classrooms, and cultivates the student’s Japanese proficiency and information literacy at the same time. All classrooms, the terrace, courtyard and multi-purpose room in the dormitory have Wi-Fi. 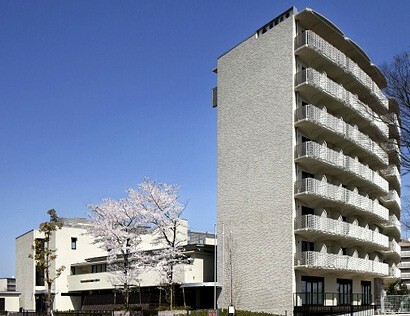 Resident Assistants (RAs) who are students at Kansai University will live in the dorm to support the daily life of Bekka international students. Each unit is composed of 6-7 rooms, shared kitchen, and lounge so that Bekka students can spend time with international students and regular students at Kansai University in the dormitory. All rooms are single occupancy with privacy guaranteed and toilet, bath, the Internet (wired LAN), air-conditioning and all necessary things are provided.